Waterfront Toronto is charged with developing the shore of Lake Ontario along the city’s southern edge; it represents all three levels of government, each of whom can appoint four members to its board. Toronto and Ottawa are standing by Waterfront Toronto’s leadership after the Ontario government fired its representatives from the board over its smart-city plans. 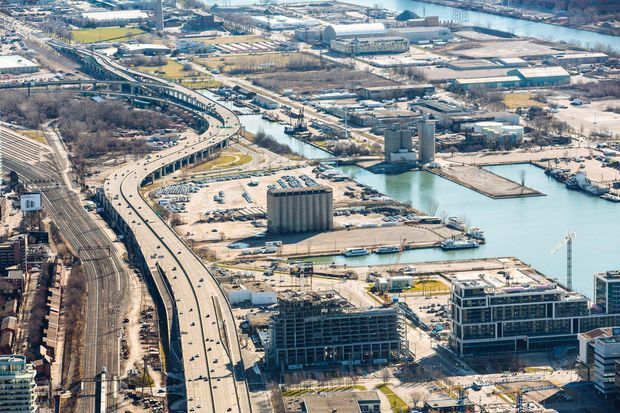 Ontario Auditor-General Bonnie Lysyk revealed numerous concerns this week about Waterfront Toronto’s governance and the handling of the Quayside project, its proposed smart-city development with Google affiliate Sidewalk Labs. The Globe and Mail reported Thursday night that the provincial Progressive Conservative government had told three directors appointed by the previous Liberal government that they were being removed. Waterfront Toronto is charged with developing the shore of Lake Ontario along the city’s southern edge; it represents all three levels of government, each of whom can appoint four members to its board. Those to be replaced are chair Helen Burstyn; University of Toronto president Meric Gertler; and Michael Nobrega, a veteran investment executive who is also the agency’s acting chief executive. The province’s fourth board seat has been vacant since developer Julie Di Lorenzo stepped down last summer in frustration over the Quayside project. The agency said on Friday that Mr. Nobrega would continue in his role as acting CEO until a permanent replacement was hired, as had previously been planned. In an e-mail, mayoral spokesman Don Peat said that Mayor John Tory supported Mr. Nobrega continuing to lead Waterfront Toronto. Infrastructure Canada handles the Waterfront Toronto file for the federal government. A spokesperson said in an e-mail that Ottawa supported the Ontario government’s right to independently choose its board appointees. Sidewalk Labs is a subsidiary of Google parent Alphabet Inc., and has made numerous first-of-its-kind proposals for the smart-city project, including adaptive traffic signals and an underground freight-and-garbage transportation system. Data could be collected by sensors such as pedestrian counters to learn more about urban life and build innovations from it. Waterfront Toronto and Sidewalk Labs first announced the project in October 2017, with Mr. Tory, Prime Minister Justin Trudeau, then-premier Kathleen Wynne and then-Alphabet executive chairman Eric Schmidt all in attendance. It has since faced numerous criticisms about data ownership, privacy and innovation opportunities. There have been four high-profile resignations by board members and project advisers since mid-summer, including Ms. Di Lorenzo, renowned privacy expert Ann Cavoukian, venture capitalist John Ruffolo and entrepreneur Saadia Muzaffar. The Auditor-General’s report this week raised concerns about the project’s governance and data usage. In a statement on Friday, Waterfront Toronto said it accepted the province’s decision to remove its board members and thanked them for their service. Sidewalk Labs also issued a statement that echoed its initial response to the Auditor-General report, outlining its efforts to consult and inform the public about the project. “We received the Auditor-General’s report and are committed to working with all three levels of government to be responsive to any issues of concern,” wrote spokesperson Keerthana Rang. The Quayside project is contingent on a board vote over a not-yet-completed “master innovation and development plan” late next year. If it passes, many parts of it will need approvals from all three levels of government.